Variety Cleaning was established a few years ago prior to offering top quality local cleaning services at moderate cost. 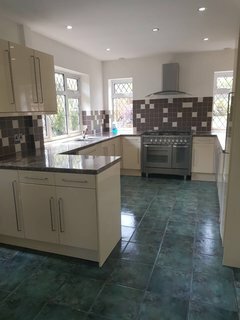 We have broad experience performing cleaning services in South East England - Reading, Hemel Hempstead, Guildford, Oxford, Slough, Southampton, Portsmouth, Redhill; in London - West London, South West London, North London, Northwest London and in Greater London- Enfield, Watford, Southall, Kingston upon Thames, Twickenham. Today we are a cleaning company with several representatives and offer professional cleaning services where exactness, flexibility and value retention are the priority. Our expert cleaners ensure efficiently and professionally performed cleaning services you can rely upon whenever amid the week and even on weekends and bank holidays without any extra charges. For your benefit, our teams of professional cleaners cover London, Greater London as well as many cities in South East England. Besides, Variety Cleaning is constantly improving and expanding, so if by any chance you do not find your area below, please contact our customer support! Variety Cleaning offers an extensive range of far-reaching and comprehensive cleaning services such as After Builders Cleaning, Move out Cleaning or Move in Cleaning, One-off Spring Cleaning, Carpet and Upholstery Cleaning. In the event that you are interested in an individual cleaning concept that fits your necessities flawlessly, at that point don't hesitate to get in touch with us! This additionally implies our services are adaptable and in case you don't discover what you require on our rundown of offers, don't falter to ask for it. We will do our best to help you in any circumstance and would be pleased to convince you of our commitment. All you have to do is simply dial 020 3637 9193 and Variety Cleaning will furnish you with a flawless cleaning service!